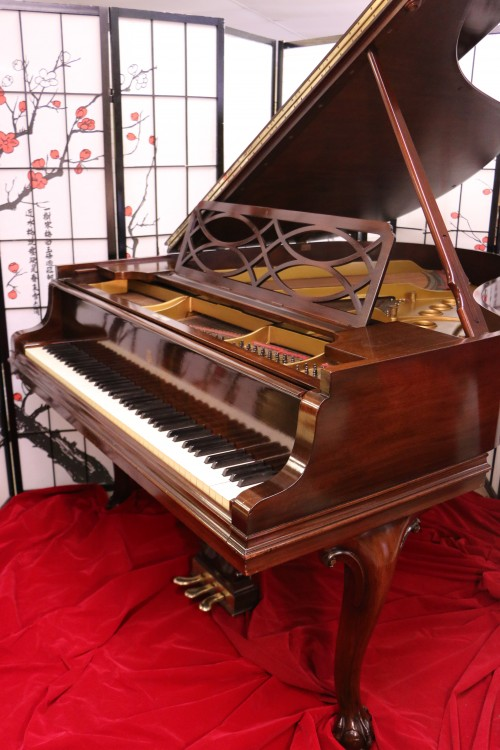 Art Case Steinway M Chippendale Style, Gorgeous Mahogany, Reconditioned/ Refinished $17,500. Beautiful Art Case Steinway Chippendale Style Model M 5’7″ with classic “Ball & Claw” feet, Chippendale style legs, decorative music desk and pedal lyre. Made in 1933, all excellent condition genuine Steinway parts. Our technicians just regulated the action and voiced the hammers. our furniture people gave it a “French Polish” (several coats of hand applied clear lacquer to bring out the grain and even out the sheen) Piano plays and looks great. Original beautiful keys. Questions? Speak with Sonny at 631-475-8046 or e-mail sonny@sonnyspianos.com nationwide & Worldwide shipping call for price quote. We Install PianoDisc IQ Player Systems! 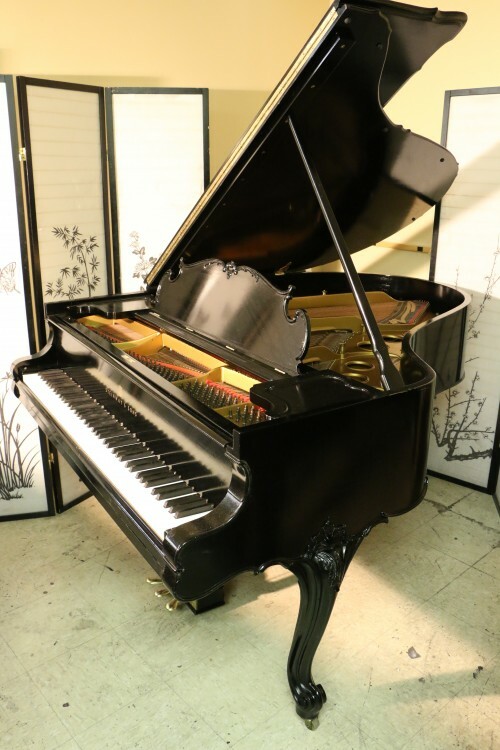 Chippendale Steinway M Art Case 1940 Rebuilt/ Refinished Satin Ebony $17,500. Beautiful Art Case Steinway Chippendale Style Model M 5’7″ with classic “Ball & Claw” feet, Chippendale style legs, decorative music desk and pedal lyre. Made in 1940 but we just refinished satin ebony, rebuilt a few years back with new strings, pins, dampers, Steinway hammers and shanks, revarnished soundboard, repainted plate. Our technicians just regulated the action and voiced the hammers. All excellent condition Steinway Parts. Questions? Speak with Sonny at 631-475-8046 or e-mail sonny@sonnyspianos.com Worldwide shipping call for price quote. 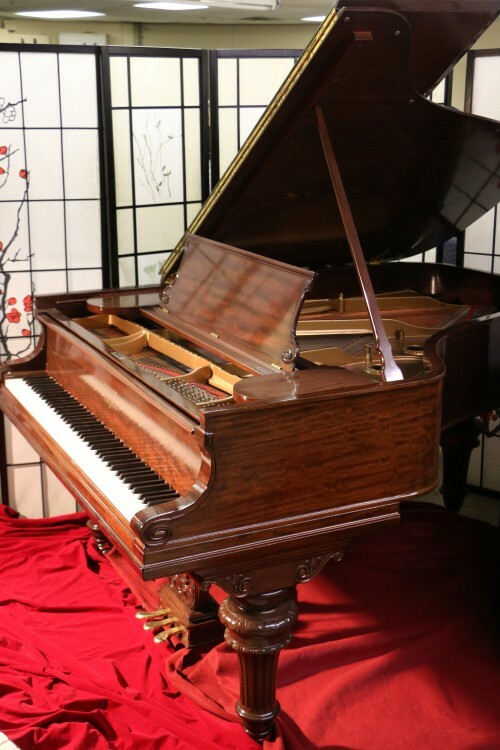 854: Art Case Steinway Grand Piano Model A 6’1″ Exotic Flame Mahogany Totally Rebuilt $27,500. King Louis XV Style Art Case Steinway Grand Piano Model O 5’10.5″ Ebony Gloss Refin/Reblt $23,950.